Title Insurance is a single premium policy which defends and protects insureds against loss due to matters affecting title. Most insurance policies (Auto, Life, etc…) protect insureds against claims which will occur in the future, after the policy is issued. Title Insurance is different. Title Insurance protects insureds against events which occurred prior to the policy issue date. Attorney fees and court costs to defend against title claims can be expensive. A loss in one of these cases can be even more expensive. Title Insurance protects homeowners and lenders against costs and potential loss. Title Insurance policy premiums are paid in full at issuance and no further premiums are required. The policy is in force as long as the insured has a legal interest in the property. Because of the risk of loss described above, first mortgage lenders generally require that their borrowers pay for the lender’s Mortgagee Title Insurance Policy. The Mortgagee Title Insurance Policy names the lender as the insured and protects the lender against loss up to the amount of the mortgage balance. The lender policy is generally used when a borrower defaults on the terms of the mortgage and lender encounters a title issue during the foreclosure process. THE MORTGAGEE POLICY DOES NOT PROTECT THE HOMEOWNER. An Owner’s Title Insurance Policy protects homeowners up to the face amount of the policy. As stated above, the homeowner only pays for the policy one time, at issuance, and then the policy is inforce for as long as the homeowner has an interest in the property. The Owner’s Title Insurance Policy will protect you in the use and occupancy of the property you purchase. It also protects you from debts and obligations of prior owners. 5. The company will defend your title if it is challenged and will pay costs, attorneys’ fees and expenses to defend you against any claims made against your title which fall within the coverage of the policy. 6. CATIC increases the coverage by 10% each year for the first five years without additional cost. The coverage under both the standard and expanded coverage policy continues in force for as long as you have an interest in the property. That means that you will also be covered after you sell the property and convey the title by warranty deed to the new owners. Should the subsequent owners later make a claim against you for some problem that would be within the coverage of your policy, the company will provide the protections listed in Paragraph 5, above. 4. You cannot lose title to your property through forfeiture or reversion because of a pre-existing violation of recorded restrictions. Ownership claims of others based on forgery before or after acquisition of title. Claims to divest you of ownership because of a pre-existing violation of restriction. Claims of others to limit the use of your property based on a recorded restriction. Refusal to fulfill a purchase contract, lease, or make a mortgage loan because of prepurchase violation of restrictions. Someone else builds on your property. Inability to sell because of violations of subdivision regulations. 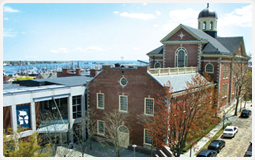 Massachusetts Real Estate Attorney Brian Glover is a Title Insurance Agent for C.A.T.I.C.. Call him at (508) 990-4555 with any Title Insurance related questions.